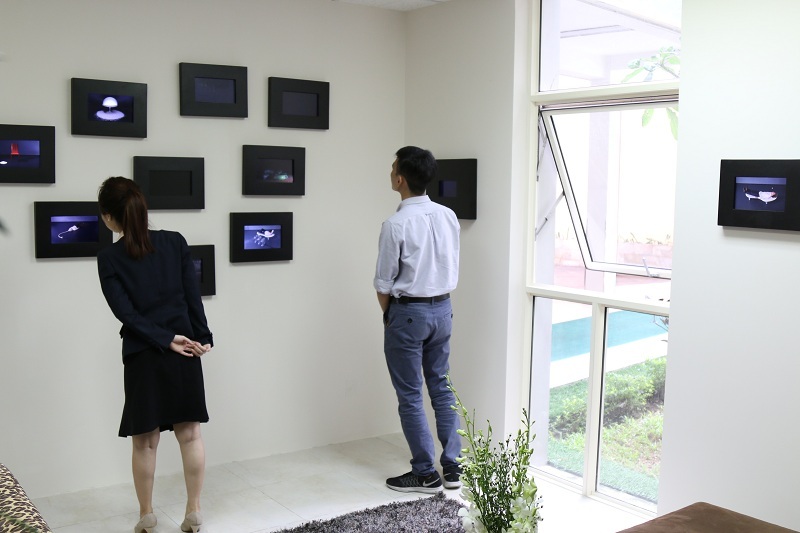 Renaissance International School Saigon has recently expanded it’s collection of Modern Art. 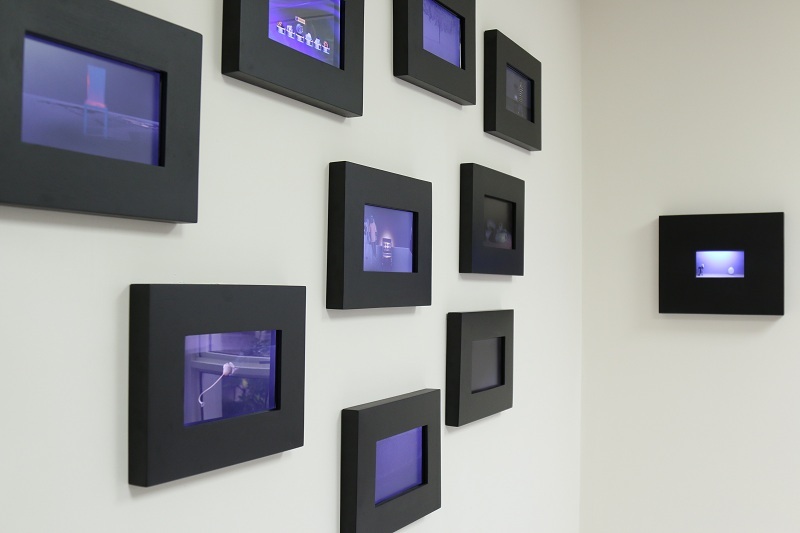 The school has dedicated a room to display Golay’s collage of 11 videos, catching the attention of the school’s students, teachers, parents and visitors. 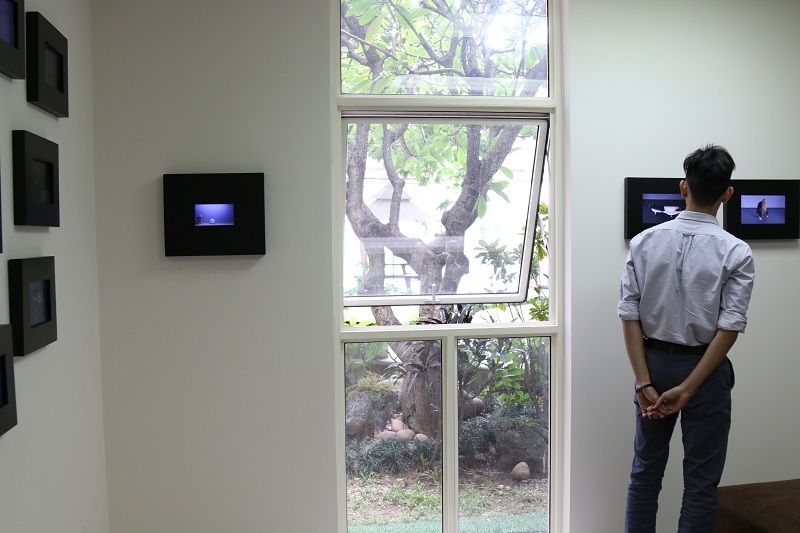 Regis Golay’s work – flown in from Switzerland – was displayed at Dia Projects in Saigon earlier this month. The artist, Regis Golay, was born in Geneva in 1978 and currently resides there. He created the Studio Federal in 2005 after graduating with a Bachelor‘s degree in Visual Communication from the ECAL in 2003 with a specialisation in Photography. Accustomed to blurring the boundaries between contemporary art and visual communication, his commissions led him to photography, to designing posters and making videos, as well as to setting up installations for clients as diverse as experimental theater companies, luxury and fashion firms, museums or even cultural events. The context of the videos in the Golay Room at Renaissance only emerges through the videos’ interaction and continuous repetition, and the videos seem to examine and to question continuous, mysterious, and ultimately useless, productivity. Renaissance International School Saigon already has a remarkable collection of modern art, including paintings by star artists like Pham Ha Hai, Pham An Hai, Tran Ngoc Hung and Mai Xuan Oanh, and is building an art gallery next door to its campus in District 7 to ensure its students can benefit from a close-up experience of art as part of their education. Renaissance’s continuing investment in modern art makes it stand out from the crowd, and is highly appreciated by its close-knit community. It is highly unusual to see such installations in the school’s settings, and students tend to joke that they are studying in an art museum rather than in a traditional school. The Board of Directors of the school firmly believe in the power of art to ennoble children and adults and to stimulate their creativity and imagination, and are committed to continue expanding the school’s collection, which has already acquired a great reputation in the city and beyond.